Washington, D.C. (dpo) - The White House is getting a makeover. 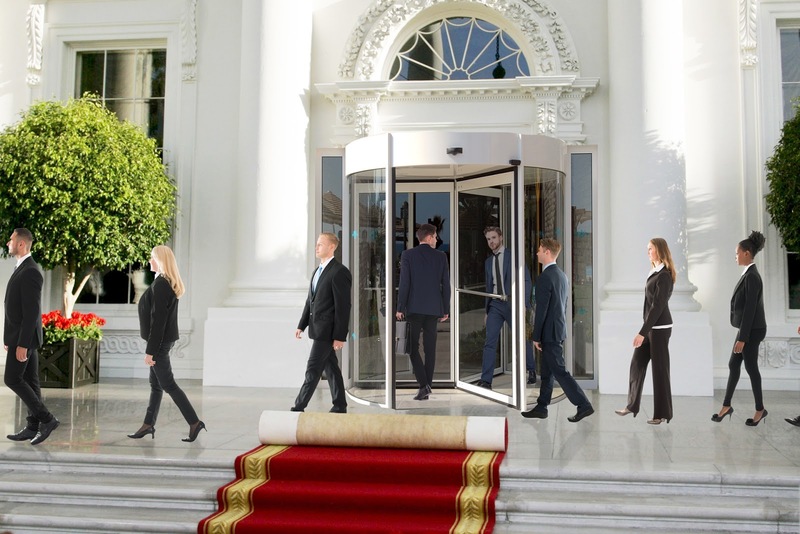 The high level of turnover among the highest ranking White House staff has spurred the Trump administration to replace the Lincoln era entrance with a modern revolving door. This will make it easier for large numbers of recently fired employees to leave the building at the same time without hindering similarly large numbers of new hires from entering. At the beginning of the Trump presidency, back when Deputy Chief of Staff, Katie Walsh, and security adviser Michael Flynn had to go, this was not a major problem. However, when Angella Reid, Walter Schaub, Michael Dubke, Sean Spicer, Michael Short, Reince Preibus and Anthony Scaramucci were all seen off in quick succession, with new staff coming in at the same time, traffic jams started to form. Some people were still to be found in the foyer weeks or even months after having to leave Trump’s team. This was the case for Steve Bannon, Sebastian Gorka, Tom Price and Rob Porter. When Hope Hicks stepped down this week, she left via a window, as did Gary Cohn. Omarosa Manigault allegedly went as far as trying to tunnel her way out. The revolving door is set to smooth out the White House’s hiring and firing processes. This particular door was previously installed at Grand Central Station in New York and is therefore optimised for high volumes of traffic.